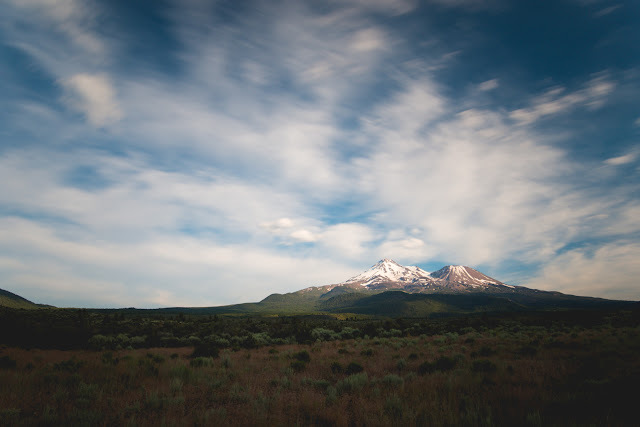 Our recent road trip through Oregon was pretty amazing! Over nine days, we managed to travel over 2,200 miles, visit three national parks, stay at six campgrounds, and snuck in two whole showers. We saw mountains, lakes, gorges, beaches and a whole lot of volcanoes. We viewed one amazing sunrise, a number of spectacular sunsets and discovered all sorts of creatures at the tidepools. 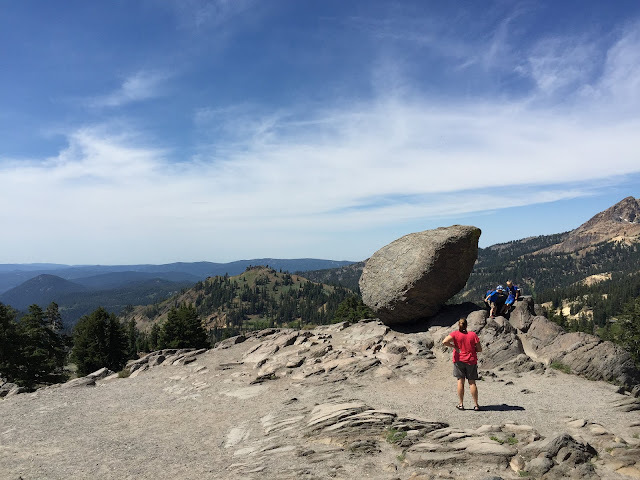 We hiked to stunning vistas, tried our hand at paddelboarding, and cooled off in lakes. We bonded over bonfires, broken down cars, and the natural beauty that surrounded us. As Taylor so justly put it one night we "will remember this trip for a long, long time". It will be impossible to log every moment, every laugh, and every amazing scene. For the five us, all those will remain in our hearts as memories forever. But. I can share the highlights, a few amazing views, a couple of funny stories, and a number of very homemade videos. I'm not exactly sure how many posts this will take, but I think it's best to just start from the beginning and go from there. When we stopped at one point, I think Landon's exact words were "It's so hot, my legs are melting off". 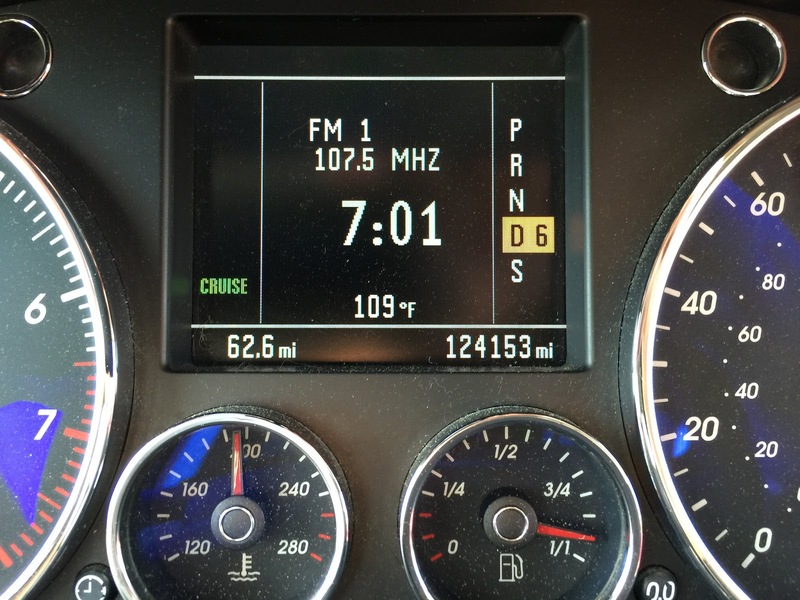 If it ever hits 80 degree in our area, we are all complaining, but we knew we needed to drive through these crazy desert temperatures so we stopped only twice and hoped for some relief. 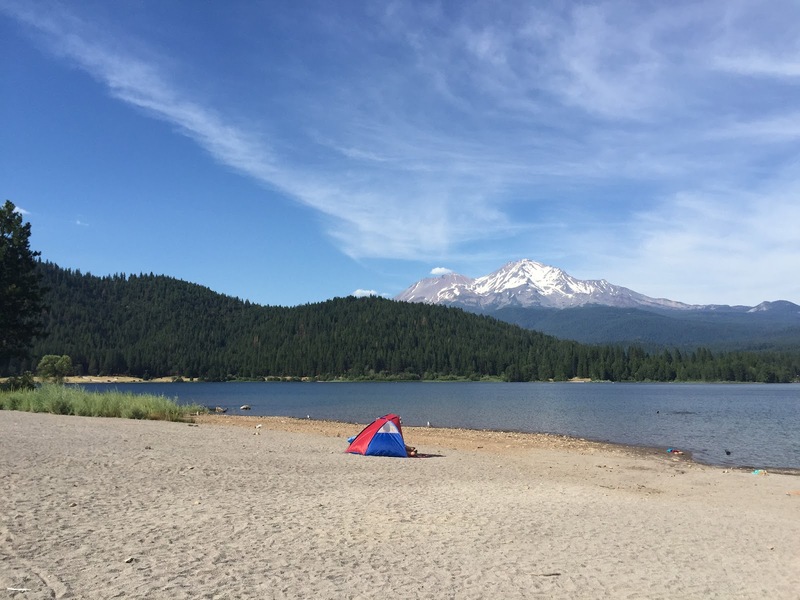 We arrived to our campsite at Manzanita Lake Campground in Lassen Volcanic National Park just before 8pm. At that time (and more importantly, that altitude), the temperatures were much more comfortable in the low 70's. We began unloading the car, setting up the tent, and getting the fire started so we could make some dinner. The boys were anxious to get out of the car and stretch their legs and it wasn't long before they were playing hide and seek and covered with dirt. Manzanita has a good bear population so all the campsites have bear boxes. The boys made a fort out of it and even asked if they could sleep in it instead of the food. No such luck for them seeing as how we had plenty of food with us that needed the space first and foremost. We had a great dinner, made some s'mores and were even serenaded by a nearby group playing a violin, an accordion, and singling along. We found throughout the trip, that sometimes you have good neighbors and sometimes you aren't so lucky. This night, we really lucked out. 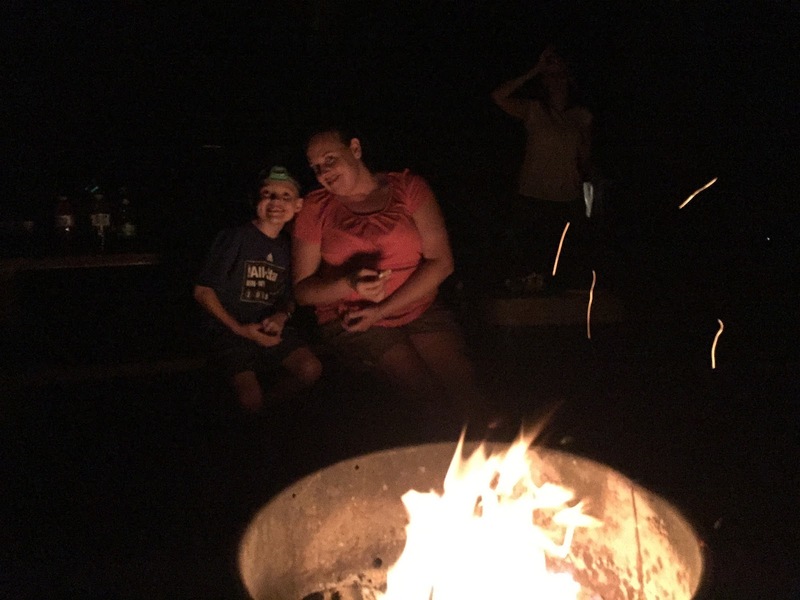 Our first night around the fire was a great one! 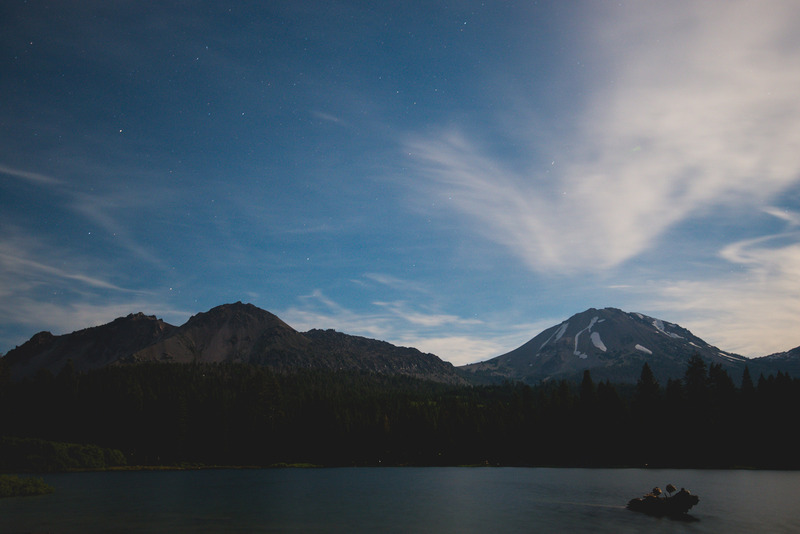 Once the boys went to sleep, Adam wanted to go out and to the nearby lake to try and take a few pictures of Lassen Peak in the moonlight. Eager to see the mountain with the lake all light up by the full moon, Katherine stayed with the boys while we walked around the trail at Manzanita Lake looking for a perfect view. It wasn't long before Adam found his place right next to the water. While he took pictures, I kept watch for fear of a sneaky Cougar. I'm not scared of many things, but a quiet lake setting in the darkness just made me feel a little bit like fresh cat food. Luckily, the only eventful experience of the night was the stunning scenery before us and we managed to make it back to our campsite that night unscathed. We woke up not long after the sun with all of us enjoying our first night of camping. Some of the old pro's may even have slept in a little longer. 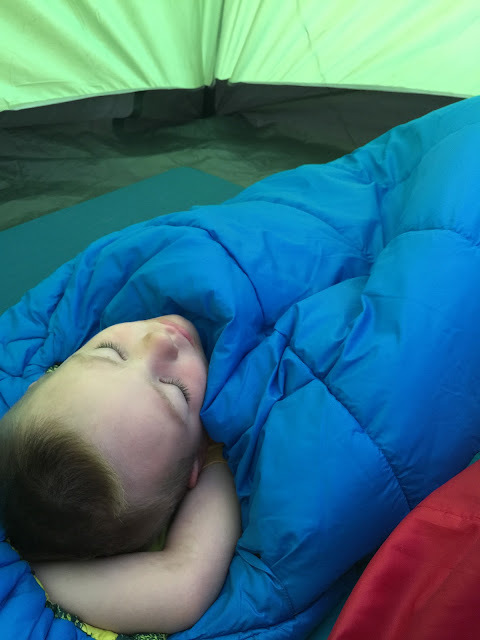 This one would probably choose sleeping outside to sleeping in his bed any day of the week. As you can clearly see, this is his element. 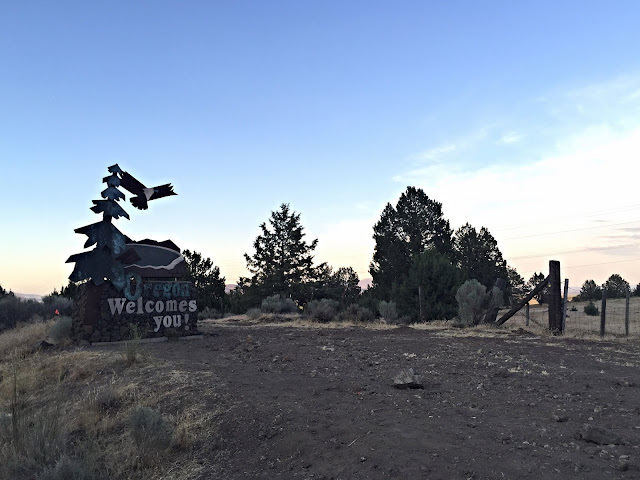 Since we planned to continue our journey up into Oregon that afternoon, we got up, made breakfast, packed up all of our stuff, and hit the road (this quickly became a routine that we would all become accustomed over the course of our trip). 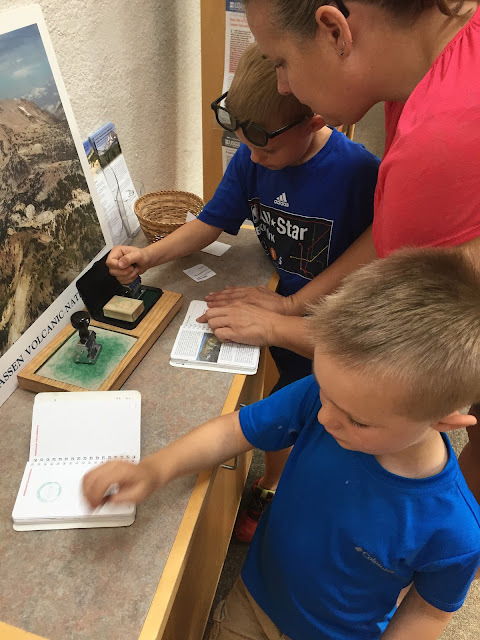 Our first stop in Lassen Volcanic National Park was a stop to the visitors center where the boys got their passport books stamped. We also picked up some junior ranger booklets which is one of the greatest ways the Park helps to get children involved and excited about the place. For both of these reasons, a trip to the visitors center is always our first stop whenever we get to a National Park. We made our way South on Lassen Peak Hwy where views of Mt. 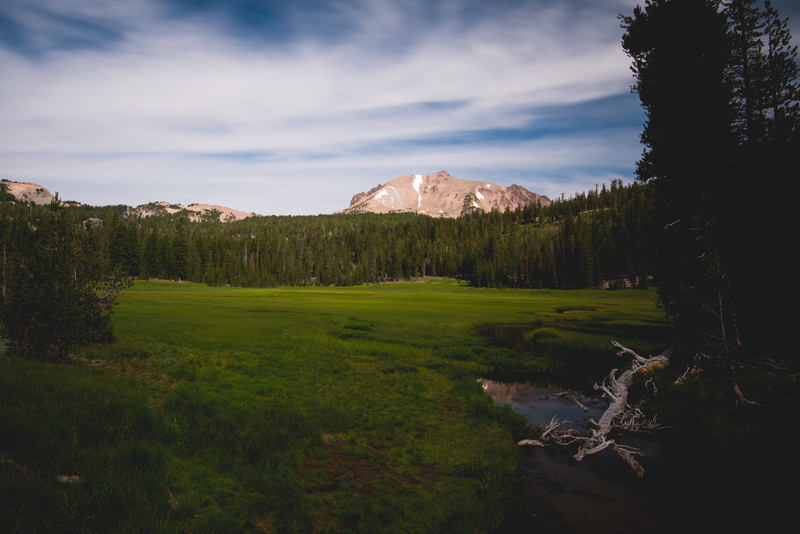 Lassen were matched with foregrounds of meadows, lakes, and rocks. 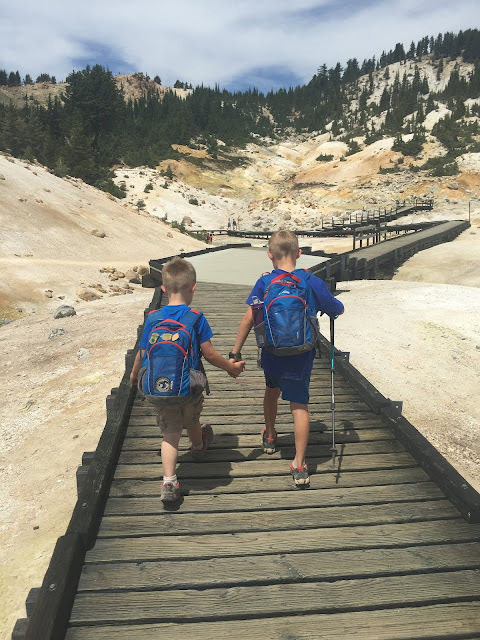 With a long afternoon drive ahead of us, we only had time to experience one part of the park and we decided the 3 mile round trip hike to Bumpass Hell would be the best way to spend our time. We knew it would be something new for the boys, as the hike takes you down to the most active geothermal area of the park. 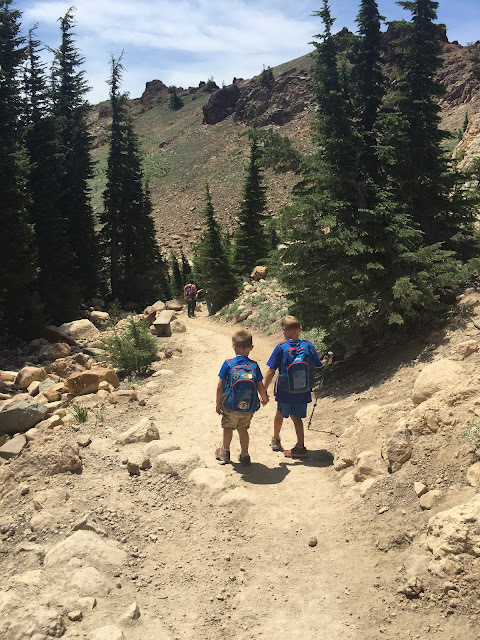 They had no idea what to expect when we left the car and headed down the trail, but they were excited to be outside running around in a new place. 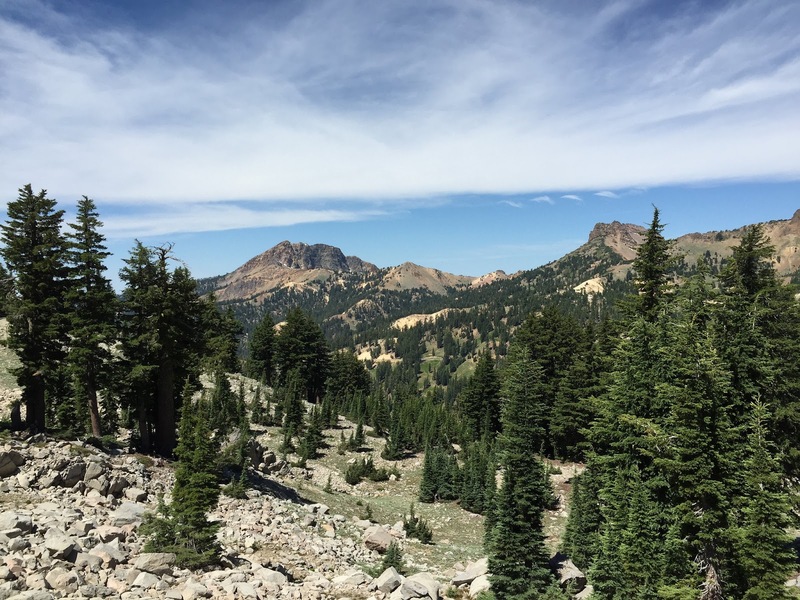 As we headed down the trail, the views were fantastic. Although it was early, the temperatures were already beginning to rise well into the 80's. 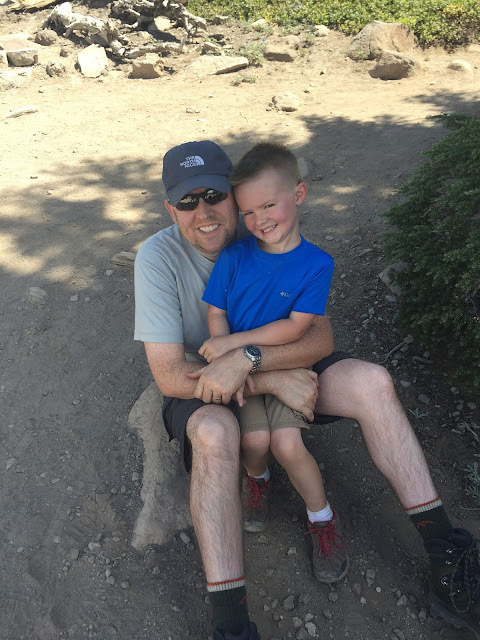 The hike itself (for the most part) was fairly flat and pretty easy, but the altitude is around 8,000 feet which makes it a little harder and seems to take a great toll on kids. So we took our time and took some breaks along the way for the boys to explore a little and rest. The absolute best part of the hike was how well the boys worked together. Taylor was great about staying with his younger cousin and Taylor's ability motivated Landon to keep moving. Cousins are like brothers who are only around each other enough to enjoy the company of the other. All those fighting times, never really happen so it warms my heart whenever they are together. It only helped how extra adorable they were with matching Camelpaks on. With a little assistance from Taylor (and with Taylor testing out one of my hiking sticks), we all made our way toward the geothermals. You can smell it long before you actually arrive. At one point, the canyon opens to allow you a nice view down on the smells and pools below. The bright blue, sometimes boiling, pools help to create a stunning landscape against the rocky terrain. Orange, brown, and even green stained Earth border these pools, a mark of the sulfur that has been spewing from below. Once down near the pools, a perfectly woven yet properly mounted path lead us all around the area. 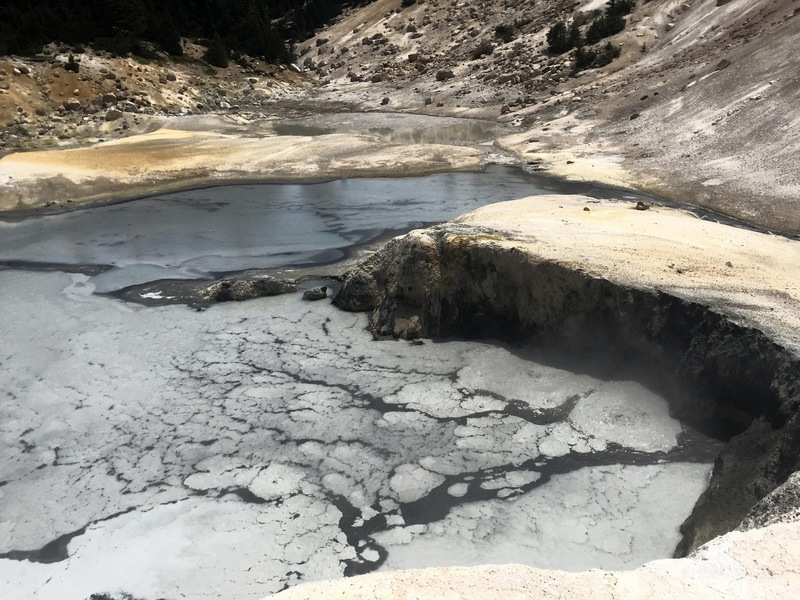 Along the way, we read all the informational signs and explained to the boys how Lassen Peak is a volcano and in this particular area the gases and heat are escaping the volcano causing the awful smell and the water to boil. Needless to say, they thought it was pretty neat. Landon thought the boiling water was especially cool to see. 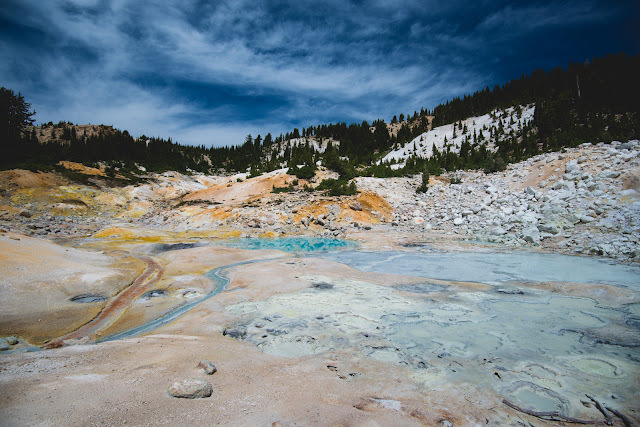 Even though Adam and I had seen some thermal pools before, even we thought it was pretty neat. Just to think about the pressure and heat below our feet causing this to take place right before our very eyes was pretty incredible. It was a thought obviously not lost on the boys either. Landon was very curious about what exactly would happen if you fell into the water. After hiking along the path and taking in all the sulfur smells we could muster, we started the hike back up. Despite being a fairly easy hike, the first 1/4 mile from the pools was pretty strenuous. Once beyond that though, it was an easy walk for us back to the car. At this point, the boys were happy to sit in the car for a few hours. take a nap, and head further North. 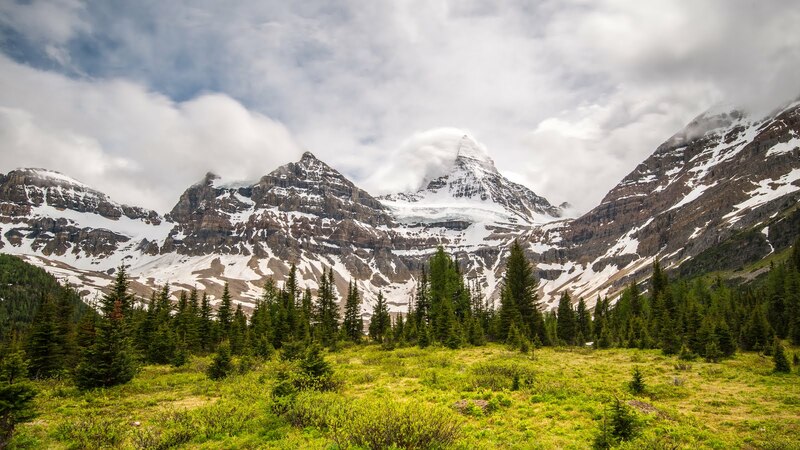 As we drove up the road, a new mountain greeted us. One with a little more girth visible from quite a good distance away. We would have liked to spent more time around Mt. Shasta that day, but it just wasn't possible given our plans to get to Crater Lake that night. Since Adam really wanted to see Mt. Shasta we stopped at Lake Siskiyou for a late lunch and little peek at the gorgeous peak. While Adam shot a few pictures, the boys cooled off a bit wading in the lake. We were unprepared for what an awesome lake we were stopping at and I think we all would have enjoyed spending the entire day or maybe two there. Not only was Lake Siskiyou unusually warm for a lake in the area, but also had a massive water course that included inflatable slides, trampolines, and an obstacle course. Were were all a little envious of the fun people were having and I made a note that next year, we need to visit this area again spending more time at this particular lake most especially. The only downfall was that this extremely inviting beach was more ash than sand and the fine particles it left all over our wet legs was almost impossible to brush off. It was just another layer of dirt that coated us over the course of our trip. 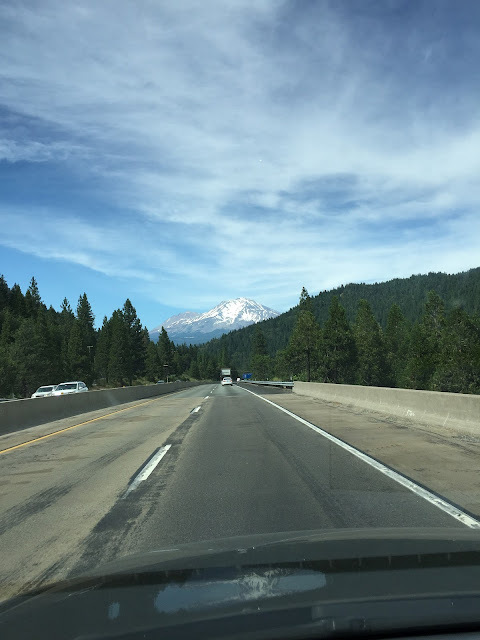 As we drove away from Lake Siskiyou, the views of Mt. 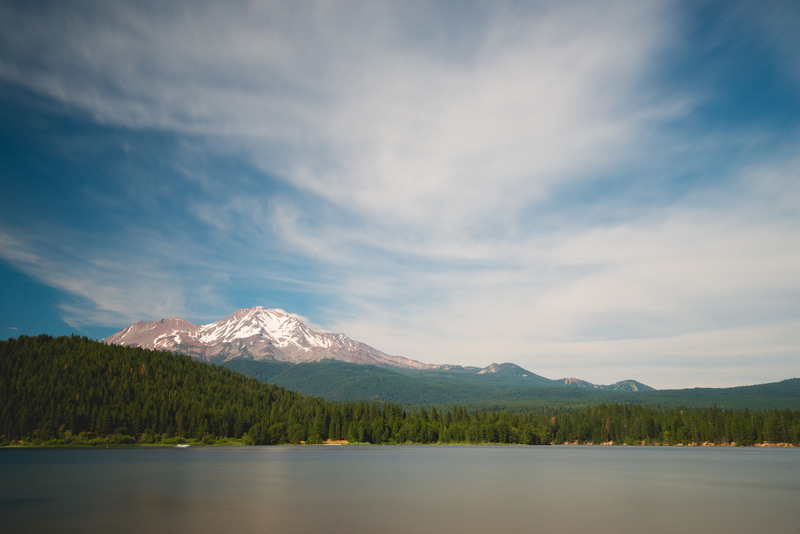 Shasta gave us great viewing pleasure. At one point, Adam couldn't take it any longer and pulled over to get one more picture of the mountain. I think his favorite thing to photograph these days is mountains. It wasn't long before we arrived in the state which this trip was all about, Oregon! We passed into Orgeon around sunset, but didn't arrive to our campground at Crater Lake until almost 10 pm. We hurried up and went to bed. more eager than ever to get a glimpse of Crater Lake first thing in the morning. All about our beauty that was Crater Lake in the next post!